Point2 Homes gives you far more than a simple list of houses for sale. Get instant access to a lot of relevant information about Kincardine, ON real estate, including property descriptions, virtual tours, maps and photos. The search results pages also have a wealth of information on Kincardine, ON, if you scroll all the way down. 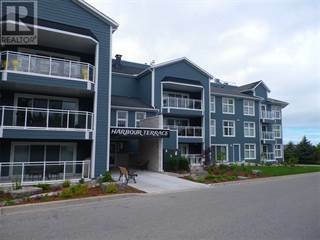 There are 51 houses for sale in Kincardine, ON. 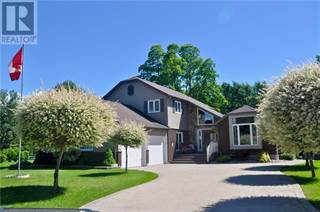 Searching homes for sale in Kincardine, ON has never been more convenient. With Point2 Homes, you can easily browse through Kincardine, ON single family homes for sale, townhomes, condos and commercial properties, and quickly get a general perspective of the real estate prices. Also, you’ll never miss a bargain if you filter listings based on house price drops in the past six months. 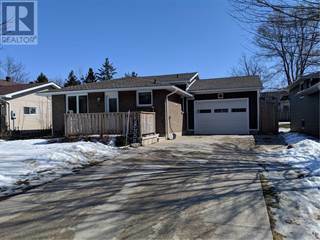 Use the map view to find Kincardine, ON homes and apartments for sale, based on amenities or city features that you may want close by. You can close in on a specific neighbourhood or area by simply drawing around them with the polygon or radius tools. Stay informed about the latest entries on the real estate market by saving your searches. This way, you get new listings in your inbox, daily or every week, based on your preferences. If you’d like to get in touch with a professional, agents are displayed next to their listings, and they’re easy to contact through the online forms. If you want more options, you can click the Tools tab and Find an Agent, and you’ll get a list of helpful and knowledgeable real estate agents in Kincardine, ON. Visit the Point2 Homes blog and you can find up to date expert advice on many markets throughout Canada, regular market reports, neighbourhood scoops in cities throughout the provinces, real estate deals and useful recommendations. Kincardine, located in the southeastern portion of the province, is a town and surrounding municipality with several smaller communities in it, including North Bruce, Bervie, Armow, Tiverton, Millarton, Glammis, Underwood, Baie du Dore, and Inverhuron. The town itself is home to over 6,000 people, while the town and its surrounding areas together have a population of over 11,000 people. Kincardine (town) covers 9.99 square kilometres, while the municipality overall covers 537.94 square kilometres, adjacent to the communities of Saugeen Shores, Hanover, Minto, and Goderich. The western edge of the community borders the shores of Lake Huron. The northern section of Kincardine is made up mostly of rural residential areas, along with a conservation area, beaches, a community centre, the nuclear generating station, some small local businesses, and a provincial park. In the central section of the municipality, there are residential areas, as well as an arena, some churches, parks, service providers, shops, restaurants, a library, a community centre, campgrounds, beach areas, conservation areas, and an airport. Kincardine’s southern section includes golf courses, parks, beach areas, a hospital, a museum, residential areas, schools, restaurants, shops, service providers, accommodations, an arena, an arts centre, a marina, a pavilion, churches, a curling club, a fire station, and RCMP offices. Family Funland, located in the town of Kincardine, offers go-kart racing on a paved track with single, double, and kiddie karts; a mini-golf course; and a driving range. There is also an onsite restaurant with a menu featuring hot dogs, hamburgers, fries, sandwiches, chicken, and breakfast items. The Kincardine Lighthouse is a lighthouse tower and keeper’s house built in the late 1800s, which now features a marine museum. As the only lighthouse built in downtown Kincardine, it served the busy fishing and salt shipping industries in the area. Golf lovers have two courses to choose from in Kincardine: Kincardine Golf and Country Club and Ainsdale Golf Course. The Geddes Environmental Park features a labyrinth, landscaped gardens, walking paths, a community garden, sculptures and other outdoor art, picnic tables, benches, treed areas, and greenspace. Connaught Park has multiple ball diamonds, a playground, and a beach area, and is home to a farmers’ market in the summer months. Rotary Park has a water feature, landscaped gardens, walking paths, greenspace, treed areas, covered seating areas, benches, and a playground. Major industries in Kincardine include agriculture, tourism, and energy. There are producers of corn, canola, winter wheat, string beans, soybeans, pork, lamb, beef, emu, bison, elk, and grapes for wine in the region. Parks and beaches in the area make it a popular spot for tourism, particularly in the summer months, and these include Inverhuron Provincial Park, Stoney Island Conservation Area, Brucedale Conservation Area, Glammis Bog Conservation Land, and nearby MacGregor Point Provincial Park and Saugeen Bluffs Conservation Area. Kincardine is home to Bruce Power Nuclear Generating Station, as well as wind energy and solar energy sectors. The Municipality of Kincardine Economic Development Department and the Penetangore Regional Economic Development Corporation provide local businesses with support, resources and promotion, and encourage investment in the local economy. There are many mid- to high-priced single-family homes in the municipality’s northern section, most of which are set on scenic lots with trees and often views of Lake Huron. There are some more affordable mobile home options and smaller single-family homes available here also. Vacant land can be pricey in this section. Single-family homes in the central section of Kincardine tend to be more affordable than those in the northern section. Lot sizes are sometimes a bit smaller, but many options are located close to Lake Huron and provide nice scenery. Vacant land is also more affordable here than in the northern section, and there are a few commercial properties available as well. In the southern section, there is a mix of mid-priced single-family homes, more expensive luxury homes, condo options, plenty of vacant land, and a variety of commercial space. Kincardine’s school options include Tiverton Public School, Huron Heights Public School, Kincardine District Secondary School, St. Anthony’s Separate School, Elgin Market Public School, Centre of Hope Christian Academy, Maple Grove Amish Parochial School, Greenock Amish Parochial School, and Ripley Community School. There are no post-secondary options in the town, so residents must travel to nearby communities to access establishments such as Fanshawe College, Apex College of Electrical Science, Academy of Learning College, and Georgian College.